Activator Method: What is the Activator Method? It is an alternative to the traditional manual form of spinal manipulation that delivers a high velocity low amplitude thrust. 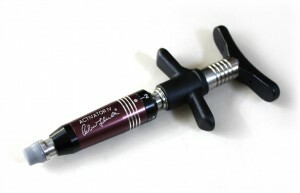 Next to the diversified technique, the Activator Adjusting Instrument is one of the most common therapeutic intervention used by by chiropractors around the world. The Activator is spring-loaded, hand held mechanical instrument that provides a quick, low-force impulse at specific at specific points. This technique also uses apparent leg length evaluations to determine where spinal misalignments or subluxations might be located in the body. What makes the Activator approach different? The Activator device releases very quickly and the body is less likely to resist the adjustment which can facilitate the effectiveness of the adjustment. Most importantly, the applied force is localized and does not add any additional torque or bending to the joints. The Activator technique teaches your brain and body to develop better ways of releasing adverse mechanical tension, correcting spinal misalignments and improving overall efficiency of the nervous system. What does an Activator adjustment feel like? Our patients lie on their stomach as the chiropractor applies this gentle, effective force to the spine. There is no bending or twisting of the patient’s body during the adjustment. During the adjustment with the Activator Instrument, the device is applied to the tissue at or near the affected area. An initial gentle pressure from the instrument resting on the skin is felt followed by a quick thrust from the device which feels much like having your reflexes tested by tapping your knee. The spine houses nerves that control body functions and chemistry, which will affect the health status of most of our internal organs and tissues, head, trunk, limbs and brain. The spinal cord and its overlying meningeal sheath are also known to retain a considerable amount of tension from physical, emotional and psychological experiences in our lives.